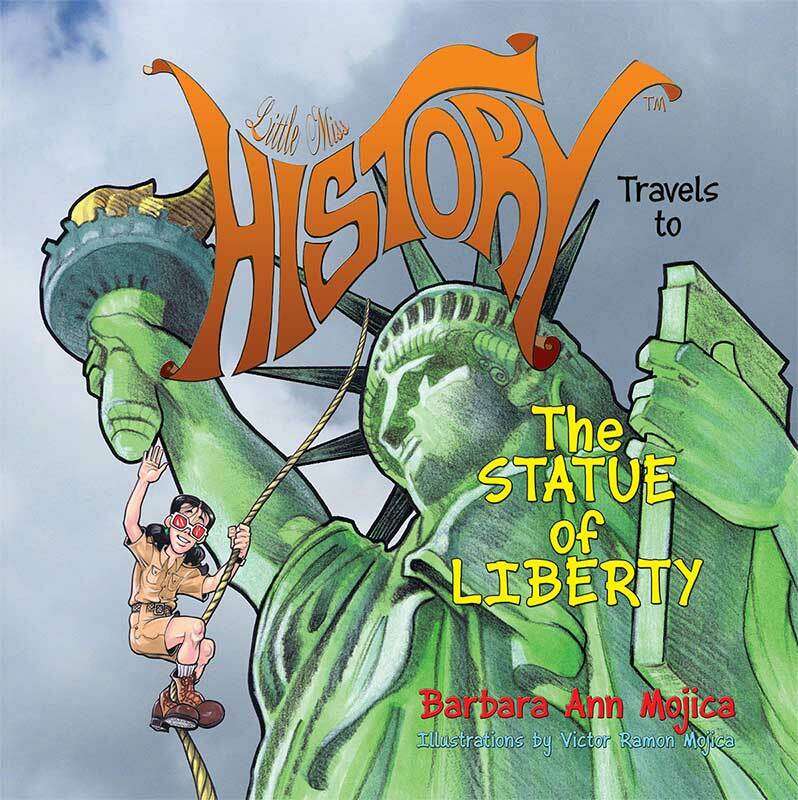 Award winning author Barbara Ann Mojica brings you her second book of the Little Miss HISTORY series titled Little Miss HISTORY Travels to The Statue of Liberty. Since her last trip to Mount Rushmore, Little Miss HISTORY has journeyed more than 1700 miles over land, sea and air to reach her second destination, The Statue of Liberty. This national treasure stands proudly in New York Harbor welcoming all people to the land of freedom and opportunity. In this second book of the series, Little Miss HISTORY will help you discover who thought of the statue in the first place, the values she symbolizes, the architects and engineers who built Lady Liberty, and the little known individuals who contributed their pennies to make her debut in New York’s harbor possible. You will learn about why she remains a promise and symbol of the hopes and aspirations of many people around the world and not just to immigrants coming to America. Come now and follow Little Miss HISTORY as she enlightens you about The Statue of Liberty! MY SECOND BOOK FEATURED ABOVE!